Meet the fairy with the world’s best job! Ice skating, snowy games: Christina puts the wonder into winter. That is, until Jack Frost steals her snowy powers. (He wants all the ice and snow to himself, and he’s freezing her out. Brrr.) Now it’s up to Rachel and Kirsty to save the magic of winter! Can they help Christina – before all the fun melts into nothing? 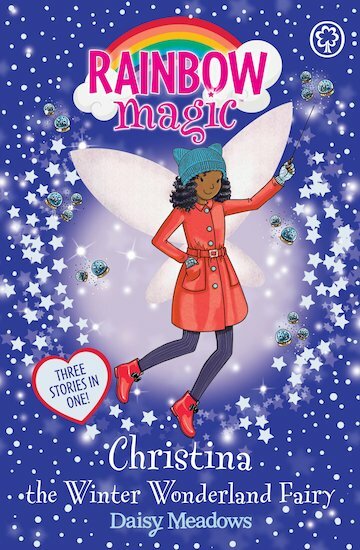 Find out in three glorious stories full of winter enchantment: frost, snow, sparkles and fabulous Christmassy fun!